This high quality camp, just 12 kilometres from Victoria Falls, is set within Mosi-oa-Tunya National Park. It has just a dozen en-suite tents linked to the communal areas by wooden walkways. It has a cosy, laidback feel, ideal for relaxing between visits to the Falls. Family friendly, with even a pizza oven! The tents are arranged along the banks of the Zambezi River. With wooden floors, tiled walls and glass windows, interiors feel sturdy and solid. Patterned rugs, colourful cushions and full length curtains add a homely atmosphere. There’s plenty of room for storage as well as a sitting area with armchairs and a table. Sliding doors from the bedroom lead out to a wide veranda with twin sunloungers, a table and chairs. All have private bathrooms with dual hand basins, indoor and outdoor showers and a separate toilet. There are generous supplies of soap, shampoo, moisture lotion and insect repellent. The bar is shaded but has open sides with views of the river and tree-lined banks. The lounge, similar in design, features deep sofas, natural sisal matting and coffee tables complete with magazines and reference books. Light is provided by large table lamps and attractive crystal chandeliers. Meals are served in the adjacent dining tent and the home-baked pizza is highly recommended! Outside there’s an expansive terrace with sunny and covered areas and a freeform swimming pool, all overlooking the river. Therapists at the spa offer beauty treatments and massages, all aids to relaxation. As well as touring Victoria Falls, taking part in the various activities and enjoying game drives in the national park, you can go on guided nature walks, take boat rides on the Zambezi, try your hand at fishing, visit local villages and take a tour of Livingstone. If you’re interested in the workings of the camp, staff are happy to show you round, explaining the energy-saving initiatives in place, a fascinating glimpse behind the scenes. Children aged 6 years and over are welcome. There are 3 family tents. The roomy air-conditioned tents have sitting areas, large en-suite bathrooms and huge river-facing verandas, with a real home-from-home feel. 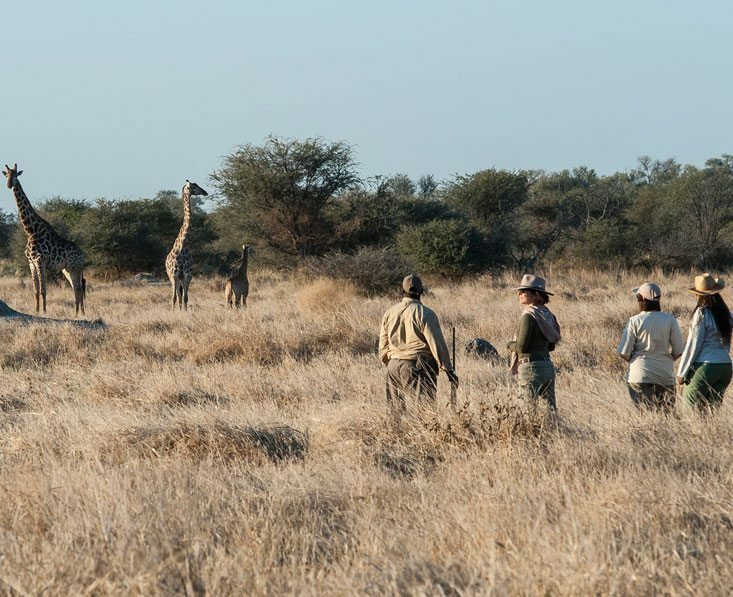 A rich and varied safari that gets you under the skin of Botswana, spending time in 3 different areas as well as the iconic Victoria Falls.